Defined as, ‘the effect of contrasted light and shadow’, Ocean Alley’s album, Chiarioscuro, is as advertised. From the searing opener Corduroy, which is moody and dramatic, to the funked-up and undeniably fun single Confidence, the band shows their diversity in light and shade. 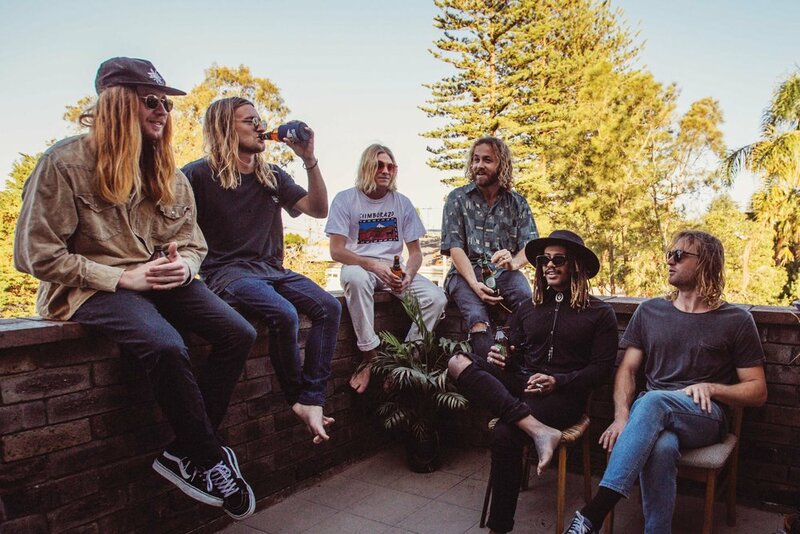 It’s been a huge 2018 for the six-piece from Sydney’s Northern Beaches. Ringing in the New Year across the ditch at the Rhythm & Alps Festival, and Baydreams at Mount Maunganui, the band was well received in the bastion of dub, roots and reggae amongst compatriots Fat Freddy’s Drop, Cornerstone Roots and the Black Seeds. Keeping the New Zealand vibes rocking, the band asked Tales of I to join them for their Australian Tour. That was 2011 – seven years later the band have put forth two EPs and two full-length albums, amassing a groundswell of fans along the way. round out summer with a splash!